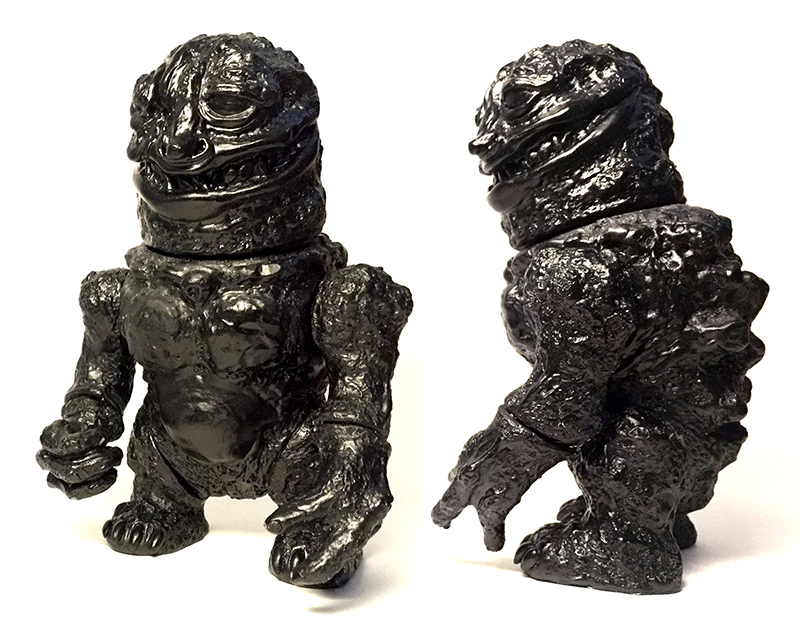 UnaffiliatedSJ‘s Kohai kaiju is set to make an unexpected comeback today in a special “Bruiser” colorway! Said to be inspired by Godzilla’s son “Manilla”, the beautifully sculpted figure plays side kick to the artist’s previously released Creature-X, featuring an altogether more stout (and short) frame at around 6.5″ tall and coming with 8 fully articulated parts that can be swapped out with future releases. Produced in what appears to be a red resin with black and silver sprays over a detail-hugging rub, the “Bruiser” Kohai will be touching down in the Unaffiliated store at some point later today for around $60 a piece (TBC). Keep a close eye on the Unaffiliated Instagram feed here for news on the drop as it happens! 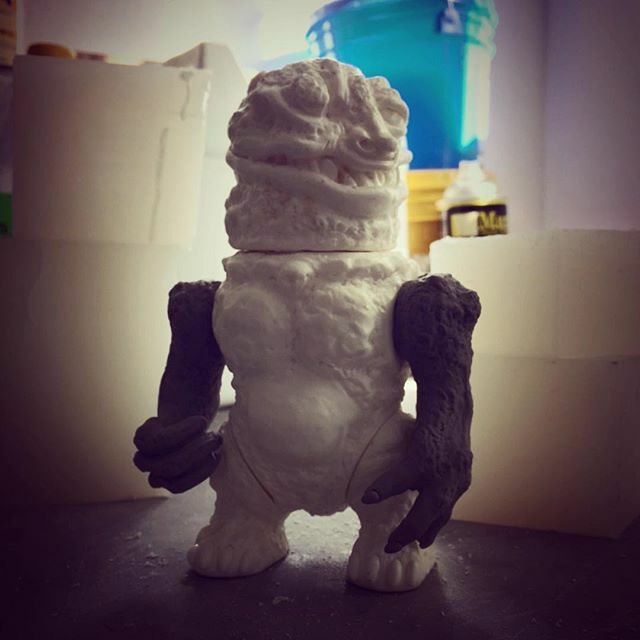 After weeks of sculpt teasers on Instagram, UnaffiliatedSJ is proud to reveal that his follow-up to “Creature-X”, the impressive “Kohai”, will finally be up for grabs in resin form as early as next week! Said to be inspired by Godzilla’s son “Manilla”, the beautifully sculpted figure is set to play side kick to Creature-X, featuring an altogether more stout (and short) frame at around 6″-7″ tall. Pictured here in test shot form, expect the first unpainted resin release in the UnaffiliatedSJ store next Monday/Tuesday for an undisclosed sum… Here’s hoping a successful debut will see the figure’s translation into soft vinyl soon!